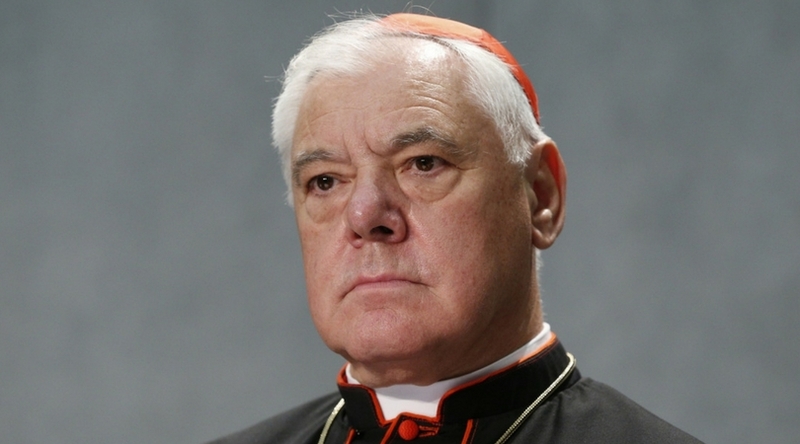 In response, former Prefect of the CDF, Gerhard Cardinal Müller issued a “Manifesto” in an attempt to set the record straight. As is typical in such cases when a “conservative” prelate attempts to lend Catholic clarity to a particular Bergoglian error, the text and its author have been received with great fanfare in many quarters. 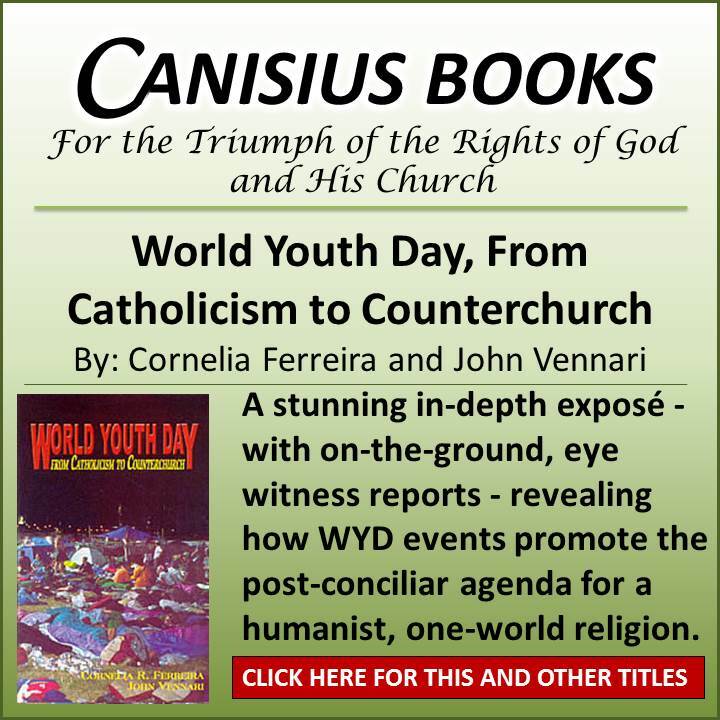 In fact, the Manifesto is being viewed by some influential persons as a mini-catechism that, if leveraged effectively, is capable of providing much-needed light in the present darkness. One small problem, however; the Manifesto is constructed of multiple references to the so-called Catechism of the Catholic Church (the 1992 edition largely edited by that rock of orthodoxy Cardinal Christoph Schönborn). It is, in other words, cut directly from conciliar cloth. Jesus Christ founded the Church as a visible sign and instrument of salvation realized in the Catholic Church … The Church is the universal sacrament of salvation in Jesus Christ. Let’s now take a closer look at these propositions through the lens of Catholic tradition; mindful of the fact that words matter a great deal, especially when attempting to convey eternal truths. That is why the fathers of the great ecumenical councils of the past often engaged in laborious, heated debate over solitary words. With this in mind, there are several errors evident in Cardinal Müller’s ecclesiology; the most obvious (even to conservative eyes) concerns his description of the Holy Catholic Church as but a sign and an instrument of salvation. This gives the impression that the Catholic Church is but one sign and one instrument of salvation among others. 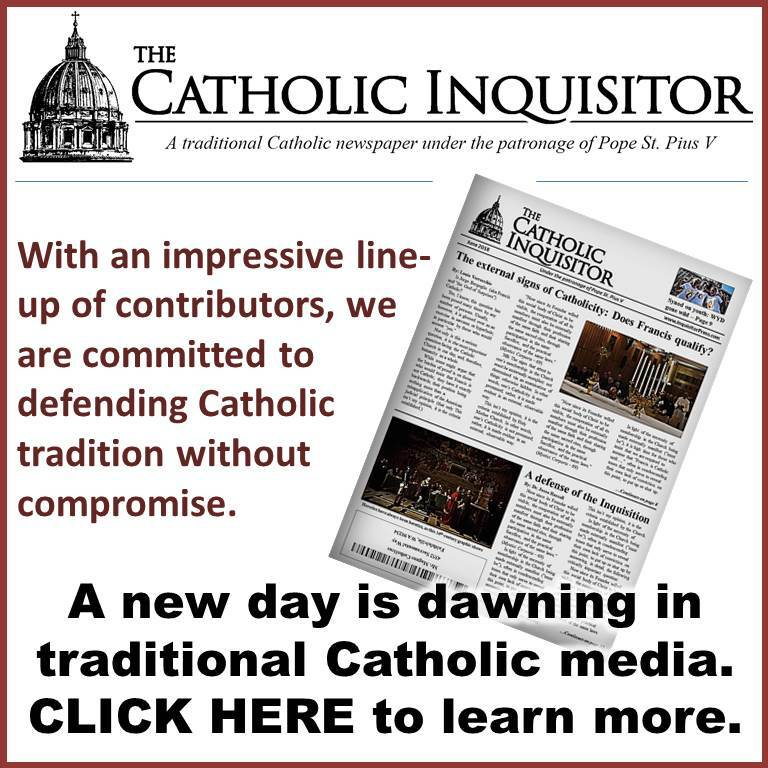 Had Cardinal Müller stated that the Church is “the visible sign” and “the instrument of salvation,” the statement would have at least appeared to come closer to tradition. But guess what: Overall, his ecclesiology would still remain grievously wrong, and for several reasons. For one, Cardinal Müller states that Jesus Christ founded the Church, and this Church is realized in the Catholic Church – as if the Church founded by Christ (aka the Church of Christ) and the Catholic Church are not precisely one and the same; when in truth they most certainly are. Far from just a matter of linguistic clumsiness, this is Müller’s deliberate attempt to remain true to the conciliar novelty that says that “The Church of Christ subsists in the Catholic Church” (LG 8). Prior to Vatican II, there was never any question whatsoever that the Church of Christ is the Catholic Church. The decrees of the Council of Trent, for example, refer to the Catholic Church as the “Church of God,” without distinction, no less than sixteen times. The reason the Second Vatican Council avoided this eminently simple and easily understood teaching, subverting it with the novel and deliberately ambiguous “subsists in,” is obvious to all who have been paying attention; ecumenism. As such, we will not go into any greater detail on this point here. 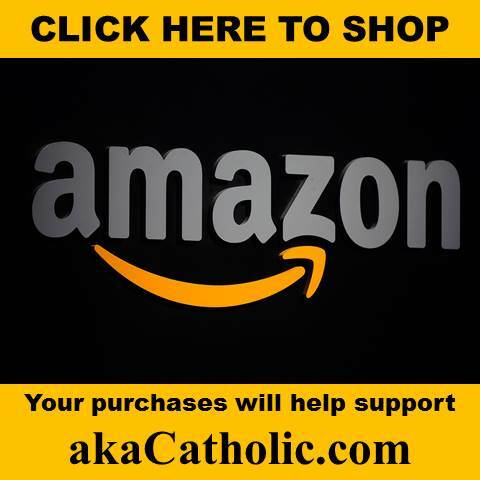 Let’s begin our examination by going back to basics – the Baltimore Catechism. 574. What is a Sacrament? 577. How many Sacraments are there? This last Q&A alone more or less demonstrates the absurdity of the claim that the Catholic Church is the “universal sacrament of salvation” – there are but seven sacraments, not eight. Still, let us ask, can we say that the Church is like a sacrament inasmuch as it is an outward sign that points to (that is, signifies) another, far greater reality; namely Christ, or is the Church more closely identified with Our Lord than that of a mere sign? As Bellarmine notes with acumen and accuracy, this appellation of the Body of Christ is not to be explained solely by the fact that Christ must be called the Head of His Mystical Body, but also by the fact that He so sustains the Church, and so in a certain sense lives in the Church, that she is, as it were, another Christ. 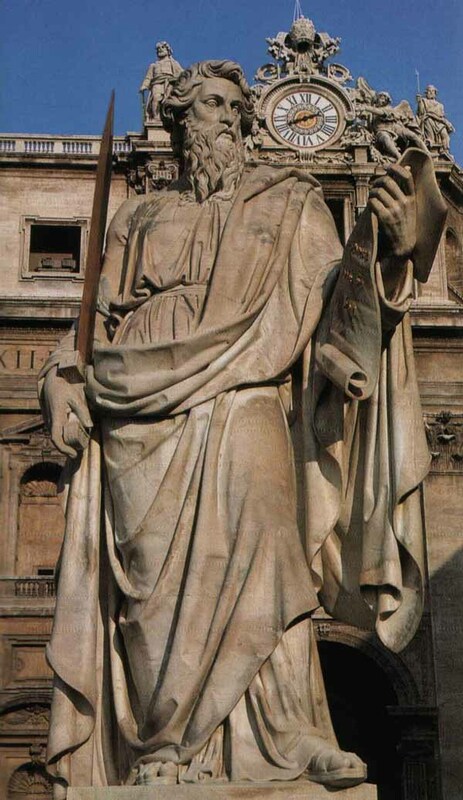 Indeed, if we are to believe Gregory of Nyssa, the Church is often called simply “Christ” by the Apostle; and you are familiar Venerable Brethren, with that phrase of Augustine: “Christ preaches Christ” (Mystici Corporis Christi 53). 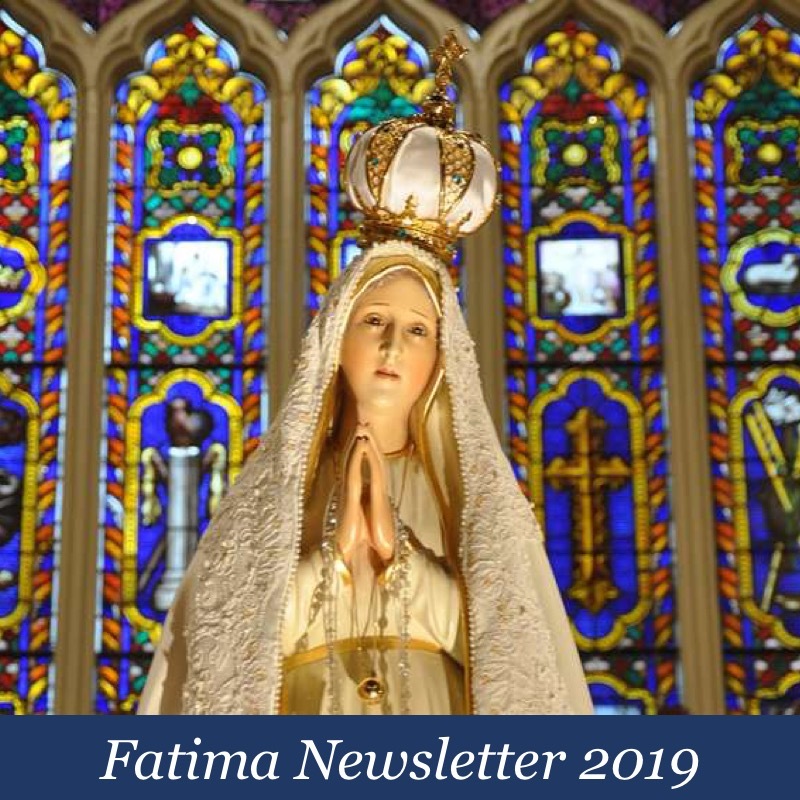 Clearly, according to the sure teaching of tradition, the Catholic Church is no mere sign; indeed, even Our Lord identifies it directly with Himself. So important for our understanding is this identity of the Church that, under the inspiration of the Holy Ghost, it is recorded in Sacred Scripture. Bottom line: The Holy Catholic Church is no mere sign, nor is she a sacrament. Mystici Corporis Christi… That is to say that the Church is the “Mystical Body of Christ,” which raises an important question: Why “mystical”? Hence, this word [Mystical] in its correct signification gives us to understand that the Church, a perfect society of its kind, is not made up of merely moral and juridical elements and principles. It is far superior to all other human societies. It would be incorrect to believe that the word “Mystical” in any way implies that this Body is but a sign; rather, it is mystical inasmuch as its grandeur exceeds the capacity of our intellect, and this is due to its identification (as noted above) as another Christ. The Church is, just the same, a real, visible, and present “perfect society” – meaning, it contains within itself everything whatsoever necessary to accomplish the end for which it exists; namely, the salvation of souls – attainable only through, with, and in Christ. It is not, therefore, merely a sign or a sacrament that points to something greater, for there is nothing greater. The communities of the heretics and schismatics, by contrast, are called “means of salvation” in their own right! You tell me, which in the text is the more highly esteemed, the mere sign, or the means itself? I am pleased to assume that, in writing his Manifesto, Cardinal Müller genuinely wished to set forth authentic Catholic doctrine in the face of so many Bergoglian heresies. That said, he has erred grievously in believing that said doctrine can be taught simply by mimicking the error-ridden Second Vatican Council. Any who wish to defend the true Faith can only effectively do so by condemning the errors of Vatican II first and foremost, while returning to the pre-conciliar, traditional, and infallible Magisterium of the Church. 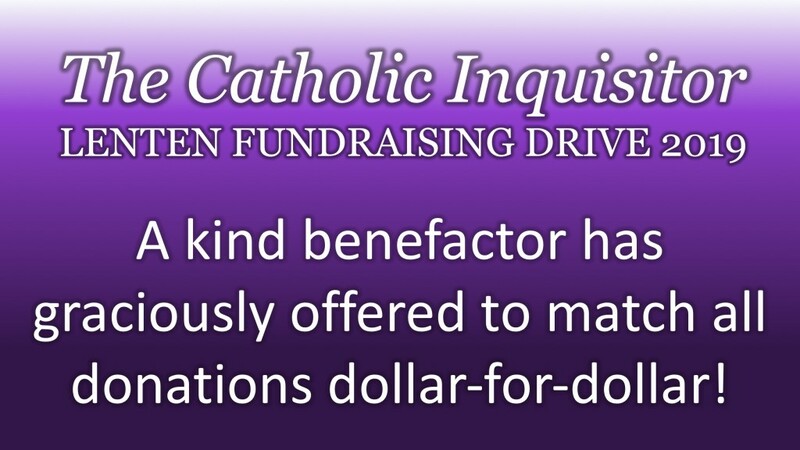 kind benefactor’s offer, please click below.